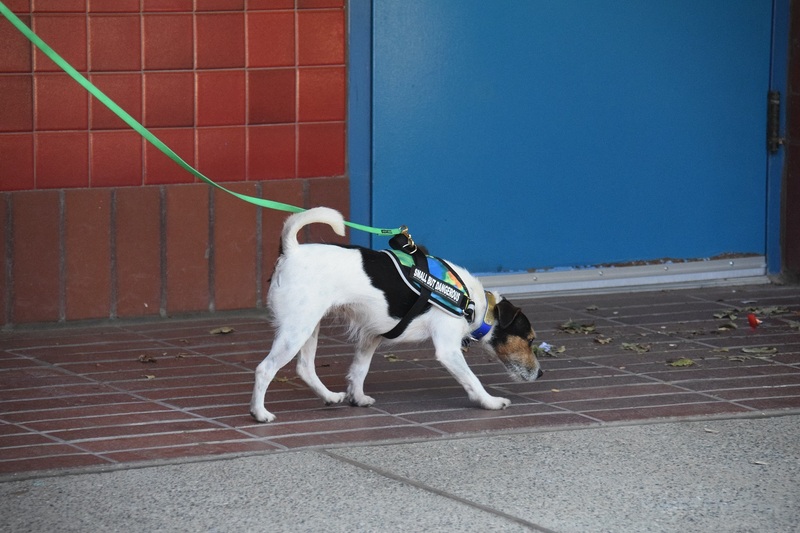 Introduction to K9 Nose Work® taught by Leslie Burnside NACSW ANWI provides opportunity for both dog and handler to have fun while the dog learns to apply and be rewarded for their strongest sense – SMELL and for the handler to build observation skills. The fun starts with building your dog’s motivation to hunt for their fave treat or toy. You will sharpen your handling skills as well as learn to read your dog. This is a 6 week course taught by a Certified Nose Work Instructor candidate with NACSW (National Association of Canine Scent Work) that includes introduction to all four K9 Nose Work® elements – containers, interiors, exteriors and vehicles. This course will be followed by Introduction to Odor. Please do not arrive more than 10 minutes before your class start time. Need help? You can email Leslie at sundancegoldens60@gmail.com or Liz at training@revolutiondogsports.com!